Ok then, this week I’ve eaten four mince pies and it’s only a week until the advent calendar comes out. I am willing to admit that Christmas is almost here. Something I’ve been meaning to do for ages is clear out some of the kids’ toys before a fresh batch of clutter arrives but this Christmas hack is a way of sorting that our without lifting a finger. 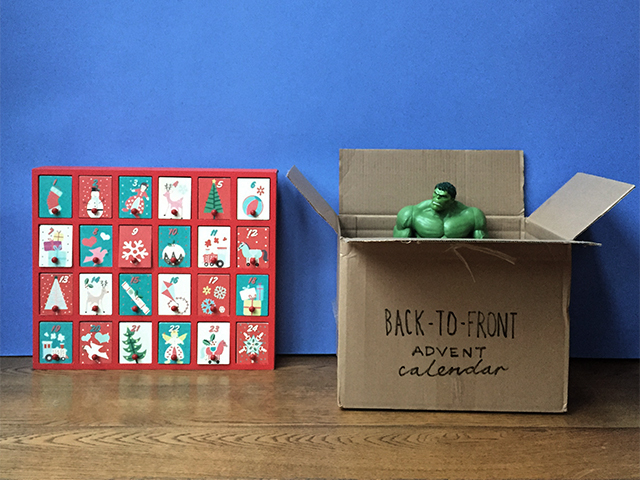 Hulk doesn’t look impressed with the situation, but we’ve all seen Toy Story 3, he’ll have some new mates in no time. We do life hacks every Monday, have you got a good one? *Santa will most likely be too pissed to actually take them away on Christmas Eve, so these things might stay in the shed until Jan 2nd.